The last year has been a series of shocks. One after another we were all shocked by Trump’s campaign, then again by the fact he actually won the presidency, and ever since the entire world has been in perpetual jaw-drop at the absolute circus witnessed daily. It seemed an impossible feat in the lead up to the election. 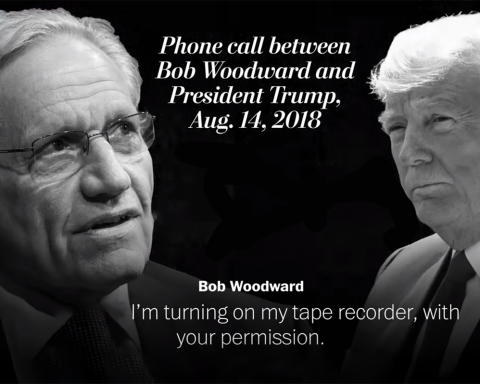 Especially when the infamous Access Hollywood tape was made public, it seemed impossible that a man with such little respect for women could still make it to the White House. Yet he seemed to do the impossible and still win. Even his co star Billy Bush, who also featured in the tape, lost his job and yet somehow Trump got away with it. The saddest thing about this is that it does not surprise anyone. This tape probably exists and even more disturbing is that it might not even change his supporters’ minds about him. He seems to have undying support from a section of the country, where it honestly would not matter what he did, they would continue to stand by him. This is unnerving. The creator of many reality hit shows Mark Burnett, is reported to be in posession of the tape and has said in the past he will not be releasing it.
.@MarkBurnettTV Release the tapes, and end this horror. Actor Tom Arnold revealed he has seen the tape and that former Secretary of State Hillary Clinton begged him to release it before the election. He said it couldn’t be released because the producers signed a $5 million dollar confidentiality agreement and that they also fear it would be a career-ender. If the only reason the tape hasn’t been released is for legal or financial reasons, it is likely that there would be plenty of people who would be happy to kick in to cover the legal fees or penalties they might face. Food for thought. Next Story Next post: Could Your Next Pizza Show Up In A Driverless Car?